USDJPY will be volatile today due to several economic reports such as Final Manufacturing PMI, Tankan Non-Manufacturing Index and Tankan Manufacturing Index data in Japan and the US will publish ISM Manufacturing Prices, Construction Spending m/m, ISM Manufacturing PMI and Final Manufacturing PMI. 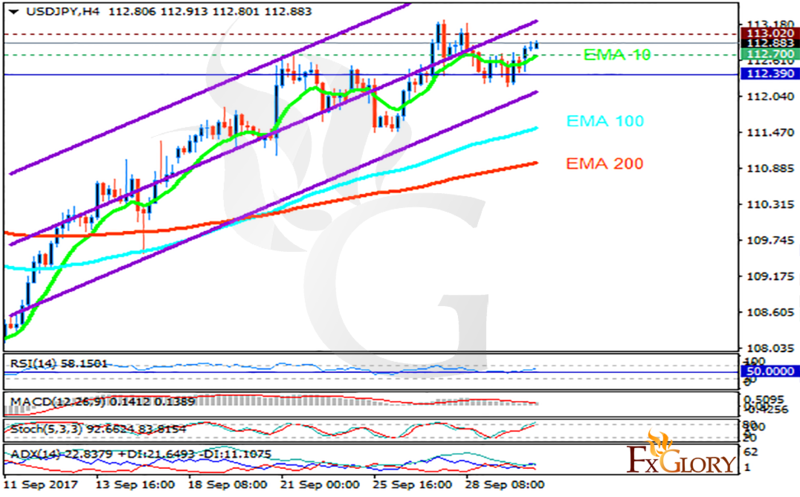 The support rests at 112.700 with resistance at 113.020 which both lines are above the weekly pivot point at 112.390. The EMA of 10 is moving with bullish bias along the ascendant channel and it is above the EMA of 200 and the EMA of 100. The RSI is moving above the 50 level, the Stochastic is showing upward momentum and the MACD indicator is in positive territory. The ADX is showing buy signals. Long positions are recommended towards 113.5.